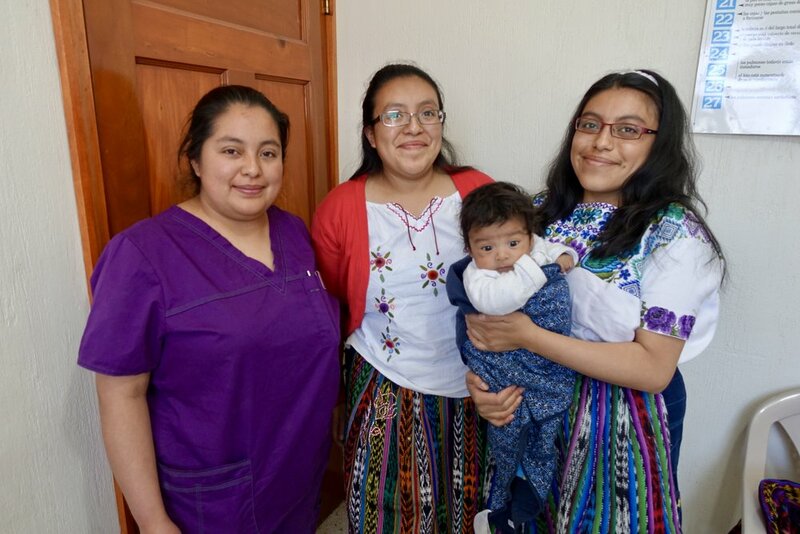 Since arriving in Guatemala to live and work with the ACAM midwives, I have watched in awe as they continue to improve their skills and become more capable women’s health care providers. Last Monday was no exception. I felt as though I might burst with pride as they performed their first ever cervical cancer screening clinic. Recently, I traveled home to Seattle, WA for several weeks to visit my family. I carefully scheduled my return date so I could be back just in time for the screening clinic held on Monday, February 5. Last fall, seven of the ACAM midwives, along with myself, my midwifery colleague Mary Ellen, and our project physician Dr. Valeria, completed a rigorous cervical cancer screening training on how to perform visual inspections with acetic acid (VIA). In underserved communities, a VIA screening is usually more easily accessible than a pap smear because results are immediate and it does not need to be sent to a lab for review. The midwives put their hearts and souls into the course. Last Monday, armed with their new knowledge, they put all they had learned into practice. I returned to ACAM on the evening of Sunday, February 4, and to my amazement the midwives had transformed our prenatal consult rooms into perfectly equipped cervical cancer screening stations. They thought of every last detail: screening supplies, an area to disinfect equipment, a microscope room for testing vaginal infections, and a sterilization area using our new autoclave. We even obtained the equipment needed to perform cryotherapy that we can use to immediately treat patients who test positive for pre-cancerous lesions. The midwives promoted the clinic to their friends, neighbors, family members and church congregations. They even passed out flyers and placed local radio advertisements. During the months leading up to the clinic, on multiple occasions the midwives nervously asked, “What if nobody comes?” I would immediately reassure them that women would come to the clinic, silently hoping I was right. The clinic was scheduled to begin Monday at 8:00 AM. To the midwives’ relief and delight, women started trickling in a half an hour before the official start time. By 8:30 AM, the waiting room was packed and excitement flickered in the midwives’ eyes as they got to work. As the screenings began, the midwives worked together, seamlessly rotating through their different stations and supporting one another throughout the day. While the midwives were performing pelvic exams and screenings, Mary Ellen and I were in charge of the microscope room. We worked with the midwives to improve their microscopy skills and diagnose infections. At 10:00 AM, reporters from Nuestro Diario, one of Guatemala’s national newspapers, arrived to interview the midwives and Dr. Valeria. They had learned about the midwives and visited the ACAM birth center a few weeks before the clinic. When they discovered the upcoming screening clinic they decided to return and wrote an article about the midwives’ recent efforts. The article was published the very next morning. By 4:00 PM, 43 women had received a cervical cancer screening from the midwives. Of those 43 patients, four tested positive for pre-cancerous lesions. Imelda, ACAM’s lead midwife who became certified in cryotherapy during our course, treated each patient that tested positive. Two of the women were her neighbors. They had never received cervical cancer screenings in their lives. Imelda counseled them thoroughly, in their native language of MAM, before performing the treatment. Many of these women would likely never have pursued testing if it were not for the trust they have in the ACAM midwives. Without receiving this treatment, these four women would have likely gone on to develop cervical cancer. In Guatemala, this type of cancer is often discovered when it is too late to treat. The midwives of ACAM are pioneers in so many ways. Despite minimal formal education, they successfully completed a highly technical medical course to be able to provide a service to women in their community. 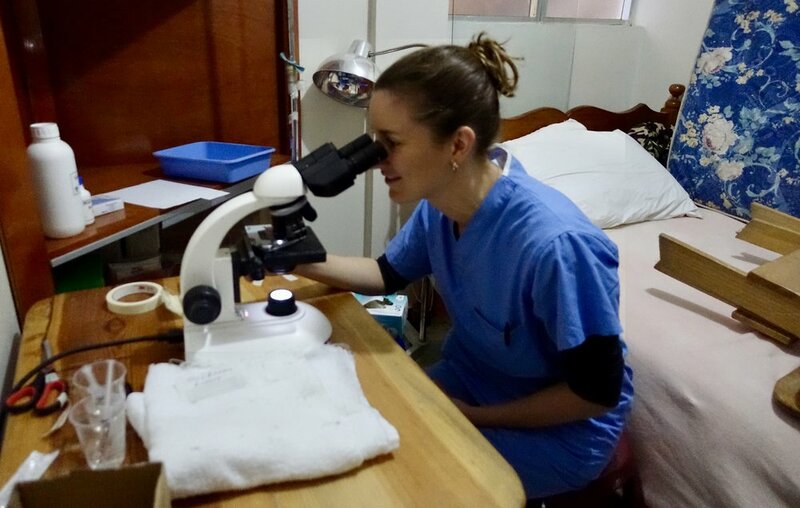 Many of those patients would forego cervical cancer screening during their lifetime because of their fear of and mistrust in the Guatemalan medical institution. Together, the ACAM midwives have created a space where these women can receive competent care and are treated with respect as well as cultural sensitivity. The ACAM midwives’ efforts are saving lives. ACAM will hold its next cervical cancer screening clinic on Monday, March 5, 2018.